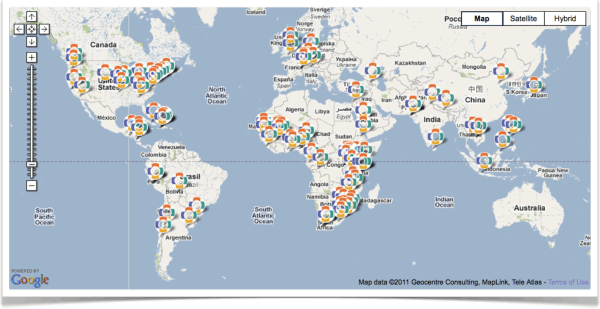 OpenMRS clinical and research locations as of 2011. OpenMRS is an electronic medical record system (EMR), designed for use in the developing world and first established in 2004. Today, the system has evolved into a medical informatics platform used on every continent, supporting health care delivery and research in an extremely wide variety of contexts. Our world continues to be ravaged by pandemics of epic proportions, as untold millions of people are infected with diseases such as HIV/AIDS, multi-drug resistant tuberculosis, malaria, and many others. Many of these infections occur in developing countries, where lack of education and resources contribute to scores of preventable deaths. Prevention and treatment interventions on this scale require efficient information management, which is particularly critical as clinical care must increasingly be entrusted to less skilled providers. Whether for lack of time, lack of money, or no access to software developers, most health care programs in developing countries manage their information with simple spreadsheets or small, poorly designed databases--if they have any electronic infrastructure at all. 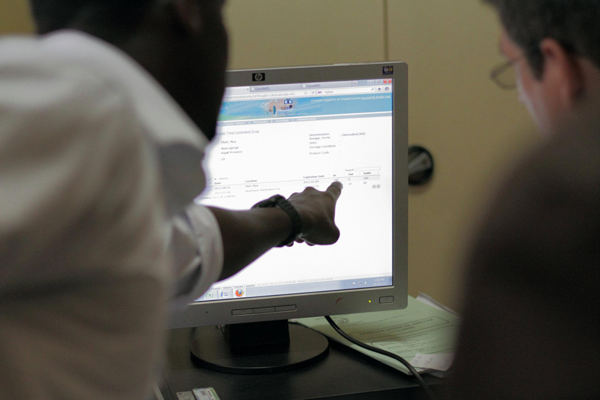 Most health care records in the developing world are still maintained on paper. As a response to these challenges in developing countries, OpenMRS was created as a medical record platform--a rising tide which we hope will lift all ships. It is designed to offer a better tool for information management, but also to reduce unnecessary, duplicate efforts. In the years since its inception, the OpenMRS community has grown from a handful of organizations to a massive collaborative effort by both groups and individuals, all focused on creating medical record systems and a corresponding implementation network that allows self-reliance in system development, even in resource-constrained environments. Since its beginning, OpenMRS has been based on the principles of openness and of sharing ideas, software and strategies for deployment and use. The system is designed to be usable in very resource-poor environments and can be modified with the addition of new data items, forms and reports without the need to write complicated application code. It is intended as a platform that organizations can adopt and modify, avoiding the need to develop a system from scratch. And indeed, organizations around the world are doing just that. OpenMRS is now in use in clinics in Argentina, Botswana, Cambodia, Congo, Ethiopia, Gabon, Ghana, Haiti, Honduras, India, Indonesia, Kenya, Lesotho, Malawi, Malaysia, Mali, Mozambique, Nepal, Nicaragua, Nigeria, Pakistan, Peru, Philippines, Rwanda, Senegal, South Africa, Sri Lanka, Tanzania, The Gambia, Uganda, United States, Zanzibar, Zimbabwe, and many other places. This work is supported by many individuals and organizations, including international and government aid groups, NGOs, and for-profit and non-profit corporations. OpenMRS is not only in use in many different places, but it is also being used to meet many different needs. In Kenya, it is used to support health care delivery for hundreds of thousands of patients at a network of over 50 clinics--some connected by typical networks, but many where the connection requires offline synchronization to external storage that can be physically transported between sites! Another NGO uses a central OpenMRS server connected to clinics in multiple countries via satellite Internet connections. In Malawi, creative individuals with a talent for technology have created a mobile cart running OpenMRS that physicians roll around their clinic, interacting with the system using a touchscreen. In Rwanda, the national ministry of health has worked to roll out a connected national health care system using OpenMRS. In the United States, OpenMRS is used to track patients at large sporting events, for mobile providers of health care to homeless people, and as a personal health record that allows cancer patients to share treatment and home health care information with caregivers and family members. OpenMRS in use at TRAC Plus Clinic in Kigali, Rwanda. In the last several years, use of mobile technology has increased dramatically, particularly in the developing world. In some developing countries, there are more mobile phones than people! Facilitated by other open source projects, OpenMRS can be integrated with SMS messaging, allowing community health workers to add information about adherence to medication regimens to a patient's record, as they make rounds through villages in rural Africa. Elsewhere, mobile phone applications are used to guide these community volunteers in home-based HIV testing and counseling, enrolling prospective patients from the comfort of their own homes. Besides clinical care, the platform can also be used in research settings. In the United States, OpenMRS has been used both in training medical informatics students, as well as in conducting various research projects in the fields of public health. In Peru OpenMRS is used as the research database for a large study of drug resistant tuberculosis funded by the US National Institutes of Health. Because the system has been designed as an extensible platform, it is very easy for researchers to adapt OpenMRS to do what they need.